From Canada’s Farm Progress Show: Saskatchewan’s 2018 Outstanding Young Farmers Jordan and Jennifer Lindgren talk about their grain and oilseed operation; Karen Briere discusses the cost of ‘potholes’ on Saskatchewan farmland; Robin Booker checks in with a cannabis company on the potential for hemp growers under new federal rules; and David Derwin of PI Financial on innovation in marketing strategies. Hosted by Lisa Guenther. Ed White of The Western Producer talks with American hog industry experts about how trade wars could impact the U.S. pork industry, Allan Dawson of the Manitoba Co-operator reports on GM wheat discovered in Alberta and how two of Canada’s import markets have reacted to the news, and Ashley Robinson of Commodity News Service Canada discusses what’s behind two recent major selloffs in the crop futures markets. Hosted by Ed White. Manitoba Co-operator reporter Lorraine Stevenson offers her report on new “historic” water and wetland legislation in Manitoba, Allan Dawson reports on changes to Canadian wheat classes coming this fall and their impact on grain delivery deadlines, and Dave Sims of Commodity News Service Canada gives an update on the large flea beetle populations being seen and their impact on Prairie canola. Hosted by Gord Gilmour. Elden Boon, president of the Hudson Bay Route Association, talks about the plan to reopen the Hudson Bay Railway and Port of Churchill to Prairie grain shipping, Farmtario editor John Greig discusses the Ontario election and the impact a new leader could have on the province’s agricultural industry and Dave Sims of Commodity News Service Canada gives his take on canola markets. Hosted by Robert Arnason. 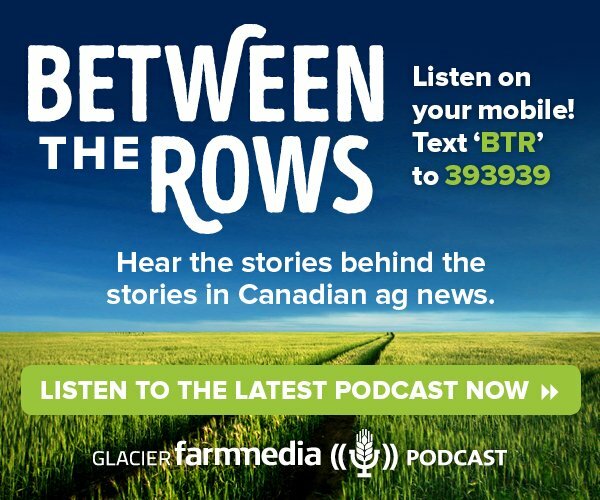 Karen Briere of The Western Producer on tinder dry conditions in Saskatchewan and some relief from above planned in the fight against grassfires, Lee Hart of Grainews on a new process called “tilling” that creates low-gluten wheat and other new food ingredients and Bruce Burnett of Glacier FarmMedia on the soon-to-be-critical need for precipitation on the Prairies and how currency issues in South America could soon impact Canadian farmers. Hosted by Laura Rance. Robin Booker of the Western Producer on the challenge of weed control in dry conditions, Lorraine Stevenson of the Manitoba Co-operator reports on the ‘Climate Atlas,’ a new online tool to help farmers adapt to climate change, Adam Grogan of Maple Leaf Foods on the company’s move to remove artificial ingredients from its products and Dave Sims of Commodity News Service Canada on market reaction to StatsCan’s latest grain and oilseeds stocks report. Hosted by Ed White. Canola contracts move to the “Big Apple,” wheat class changes and when will it rain? Manitoba Co-operator reporter Allan Dawson reports on industry concerns over wheat class changes, Commodity News Service Canada’s Phil Franz-Warkentin examines the “big league” move of Winnipeg canola contracts to New York and Glacier FarmMedia’s Bruce Burnett discusses soil moisture conditions and the prospects for rain on the Prairies. Hosted by Gord Gilmour.